The Eurozone debt crisis continues to dominate the news. Greece, after much deliberation, finally approved a controversial package of austerity measures fulfilling their requirements of their bailout deal. However European officials and the markets remain far from convinced. European officials are calling for the Greek government to do more while Moody’s have downgraded the credit rating of 6 European countries leaving the markets nervous. But China has promised to step in and help by investing in the EU bailout fund. 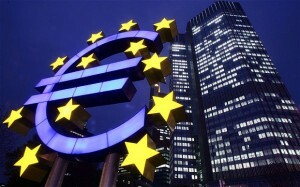 You can find the latest news and analysis on the Eurozone crisis on the BBC. Barack Obama announced his budget for the US economy in the fiscal year 2012-13. The major proposals include an increase in the tax rate for millionaires, closing tax loopholes for oil, gas and coal companies and increased investment in infrastructure projects. The Economist provides an in-depth analysis of the Budget Proposal here. The American President has also had talks with Xi Jinping, the future Chinese Premier, with trade issues being a major focus. The full story can be read at the New York Times. Over in Asia, the Bank of Japan surprisingly loosened their monetary stance in an attempt to spur growth. The central bank also cut their inflation target to 1%. While in India, inflation hit its lowest level in 2 years as food prices fall, raising the possibility of a rate cut. But the spotlight is on tax havens with the Indian Central Bureau estimating that around $500 billion of Indian money is deposited in foreign accounts around the world. In particular, there has been a strong of flow of funds to Mauritius, Switzerland, Lichtenstein and the British Virgin Islands. Full story at Times of India. In Dubai, high set up and financing costs are holding back the formation of small and medium enterprises (SMEs). Despite this, the number of new businesses in Dubai increased by nearly 4% last year. And finally Singapore remains one of the world’s most expensive cities . A strong Singapore dollar combined with rising home prices has meant that Singapore is now the world’s 9th most expensive city. The city-state was ranked 97th in 2001 and the surge up the rankings is a reflection of Singapore’s increased prominence in the global economy. You can read the full story on the Wall Street Journal.